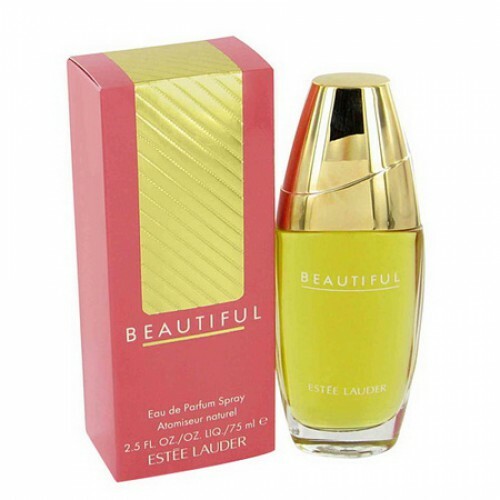 Estee Lauder Beautiful is a beautiful timeless classic femininity & sophistication. Estee Lauder Beautiful 75ml. Eau De Parfum fragrant masterpiece is unique to women, sophisticated and stylish. Fragrant accessory 1985 stunningly decorated with a woman juicy tenderness and warmth that envelops Enchantress its appeal and extraordinary bouquet. In this case, each note in the full and harmonious combination with other convey the range of feelings and emotions. Estee Lauder Beautiful fragrance is dedicated to the wedding of the founder of the brand Estee Lauder, because fabulous and actually fantastic perfume is so eloquent name. "Oh! How wonderful! "- Conveys the splendor and luxury of the most important thing in every woman's life events. Because fragrance carries a festive and unique, unique style and exquisite purity, which is capable of having a charming bride standing on the threshold of a new life. As they say, like the name of the fragrance was an exclamation of one of her friends gorgeous bride, because beauty has become the main backdrop for the aromatic notes. Moreover, according to another version of the creation of such a bouquet of garden inspiration prompted Giverny, full of charming plants. Estee Lauder Beautiful is an incredible combination of spicy and fresh notes of bergamot and lemon, turning into a soft sweet floral chords. Delicate petals of jasmine and tuberose give their power and charm to unique and romantic girls and women can experience the joy and happiness to start their married life. Ends with the sound of powerful perfume and warm notes of vetiver, cedar and sandalwood, creates a wonderful soft and velvety perfume cocktail. Fragrant aura Estee Lauder Beautiful assembled in unique in its elegance and refinement vessel filled with golden sun perfume liquid. Oval bottle of pure clear glass accentuates the refined taste and subtle sense of female nature. Composition crowned golden cap that continues the shape of the vessel, becoming its stylish completion. The name of the fragrance and perfume brand is applied to the glass bottle with golden letters. Chic and elegance in one. Classic. Extraordinary sensual perfume by Estee Lauder in honor of her own wedding, one of the most remarkable events in her life.